When it comes to marketing our business, our passion, our life’s work and investments, we all want the same results. We want to share our story and we want our organizations to be successful. We want more website traffic, more phone calls, and more relevant inquiries that will translate into increased revenue. Although each business and each website has a unique message and purpose, there are strategies that can be used across all industries to aid in these common goals. This process is called Conversion Rate Optimization. 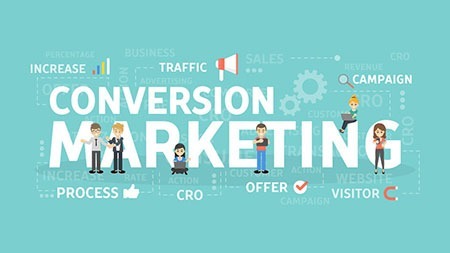 In short, within the context of internet marketing, conversion rate optimization (CRO) is the process of making strategic changes to a website in order to increase the percentage of site visitors that take action or become customers. It is an important element of effective search engine optimization strategies and can help you to generate more business through your business’ website. Wondering how to go about implementing conversion rate optimization on your website? Here are 11 tips that will be your ultimate guide to conversion rate marketing for your website. You have about 10 seconds to capture the attention of the visitor. If your value proposition does not meet the need of the visitor, they will leave and choose another website. If you do not have a value proposition or if you have an ambiguous value proposition, this is one of the first things you should remedy. Make sure it is written clearly and professionally and prominently displayed on the home page to ensure an excellent first impression. Eliminate the use of buzzwords and industry jargon when constructing your content. You risk losing your customers to competitors who speak their language if you can’t or don’t. Knowing your target market is a critical element of marketing and being able to identify with them. Remember, your visitors were looking for you, they found you, and now it’s your job to hold their attention through the buying cycle. Gating content allows the site owner to collect information about the people who are downloading the content, providing valuable lead data. The protected content must be a powerful material that is worth the extra time it takes to fill out a form. Once the form is filled out, the site owner now has the information needed to continue the conversion process with future communication. Live chat services are becoming more and more mainstream and accepted, even expected when one visits a website. For the visitor, it allows for instant communication which satisfies the need for instant gratification. For the site owner, it allows them to instantly chat with an interested party while collecting insight on the chatter. It’s convenient for the customer, allows for faster problem resolution and improves customer service. We have seen an increase in leads for our clients who use live chat, and we’ve found that it does provide a competitive advantage. Make sure you or a staff member is available to participate with the Live Chat sessions and consider expanding the hours beyond just 9-5. 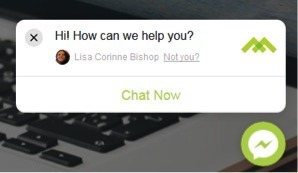 Mannix Marketing utilizes Live Chat and it shows up on the bottom right hand corner of the website screen. Get our 6-Step Checklist for Sending Email Newsletters that Get Results here. Calls to action can be showcased in various formats on a site. While some calls to action are worked right into the text, buttons are often used to highlight them and make them stand out to site users. The goal of your call to action is to close the deal. With this end goal, it makes sense to put some effort into it. There are opportunities to A/B test calls to action with colors, words, size and placement in order to determine what is most effective for converting visitors on your site. Thank you pages are the pages that site visitors reach after submitting a form on your website, and they are another potential opportunity to convert a visitor. Even if the visitor has already made an effort to contact you through a form that you provided, there may be another conversion opportunity they could take advantage of if presented with it at the right time. By providing links to relevant pages on your website, including a link to where they could sign up for your newsletter, or adding a link to your business’ social media pages on the thank you page, you may be able to encourage a visitor to continue to learn about your company and continue to become involved. Don’t waste this moment! The landing page is an extremely important part of your conversion rate marketing plan. The landing page should be completely relevant to the key phrase that it is designed to target. Once a visitor arrives through a keyword search, the page should satisfy the query. Adding a form on the landing page will seal the deal and provide you a chance to continue the conversation. Check your landing pages bounce rate in Google Analytics to see if there might be areas of improvement. 10x content is the new term for high quality content. Coined by Rand Fishkin, it indicates that our content needs to be 10x better than everything else we can find in the search engine results. What is the quality of writing? Once you answer all the above questions, you’re ready to start constructing your 10x content. Be better. Be thorough. Fill in the blanks that you found. Forms are an easy way to capture the information you need to keep in contact with a lead. As a rule of thumb, a shorter form will generate more leads and a longer form will generate better quality leads. You pick. 80 percent of people remember what they see/do. This is an amazing argument for using videos on your website – even on your home page. Video is becoming the most important visual tool you can use to keep your customers engaged, so if you have the opportunity to incorporate it into your website in a meaningful way, do so! Looking for Some Help With Conversion Rate Optimization on Your Website? At Mannix Marketing, we’ve been helping businesses with internet marketing for decades. We know the ins and outs of site design and optimization, and we can point you in the right direction when it comes to increasing conversions on your website. Want to chat with us about how our team can help you increase the leads and sales coming in through your website? Give us a call today at 518-743-9424 or contact our digital marketing strategists online to get the conversation started! Looking for other ways to improve your site? Check out this list of our top 7 essentials for your website to make sure they’re all intact on your website!